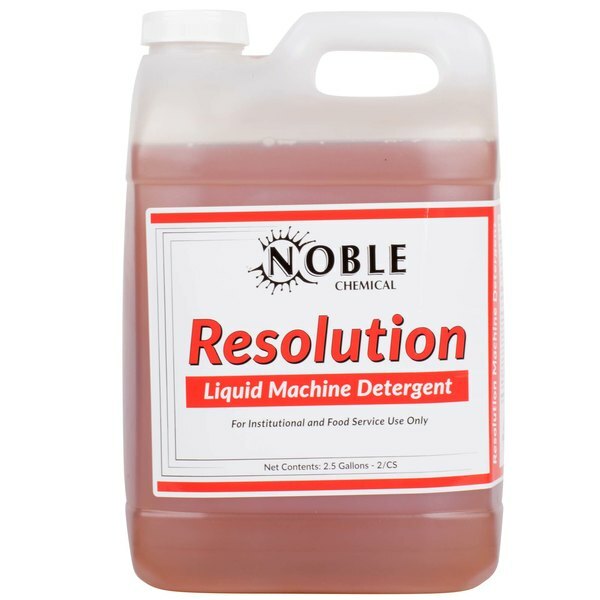 For simple, effective warewashing, choose this Noble Chemical LMDCON Resolution liquid dishmachine detergent. Designed to get your dishes sparkling clean, this dish liquid detergent removes grease and food stains and works with all water conditions. Get the most out of your dinnerware, silverware, and glassware, and keep your dishroom running smoothly with this powerful liquid detergent. Specially formulated to produce clean and sparkling tableware with just one wash, this heavy duty detergent can handle moderate food soils in both high temperature and low temperature dishmachines. Not for use on aluminum.